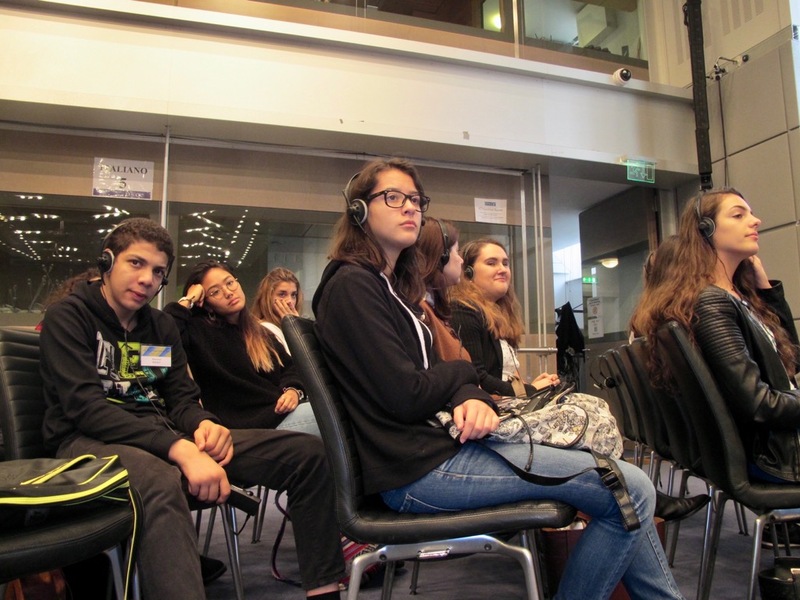 On Friday, 21 October 2016, the 7e class took part in the event “Human Trafficking and its Victims – New Developments”. 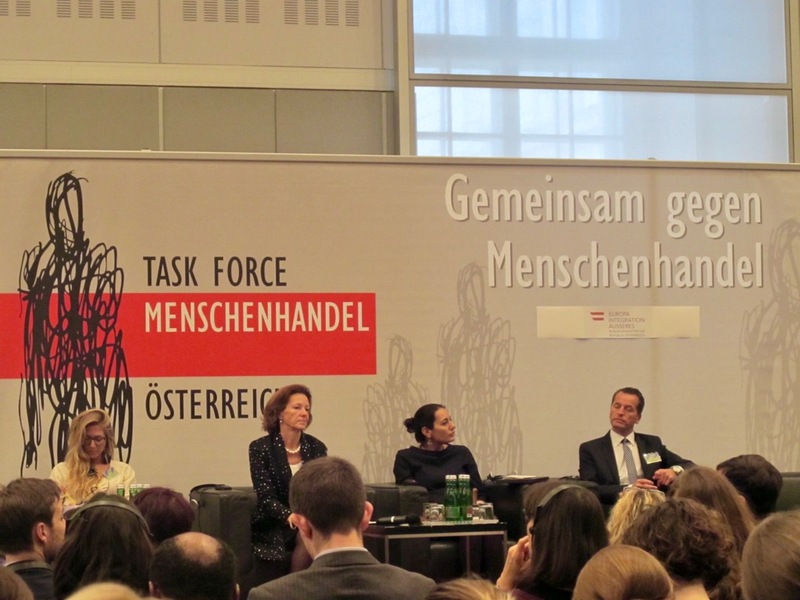 It took place at the Hofburg, and was organized by the Austrian Task Force on Human Trafficking, the Organisation on Security and Cooperation in Europe (OSCE), the Vienna Institute for International Dialogue and Cooperation (VIDC) and the International Organisation for Migration (IOM). 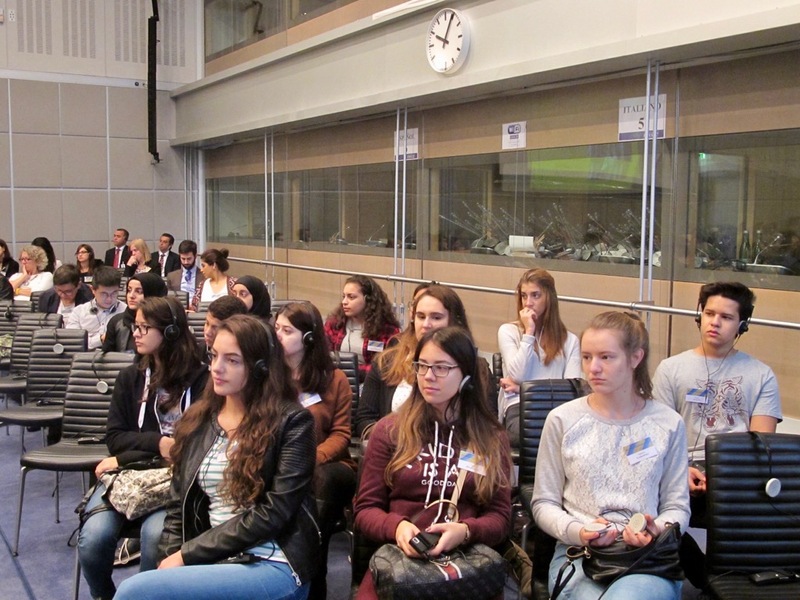 It included panel discussions on human trafficking in the context of crisis-driven migration and labour exploitation. 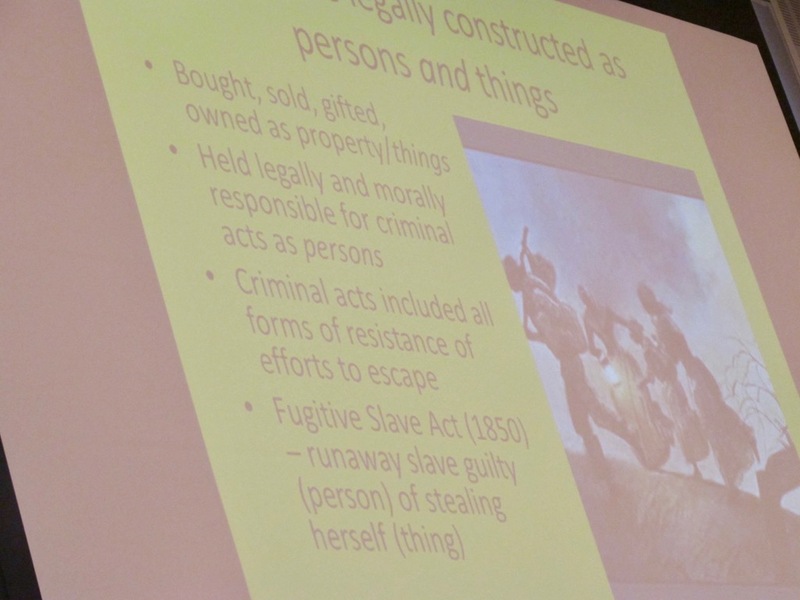 So, what exactly is human trafficking? It’s modern day slavery and involves the use of force, deception and violence in order to exploit people. Every year, millions of men, women and children are trafficked away from their home, inside the country or abroad. It’s a hidden crime as victims rarely come forward to seek help because of fear of the traffickers that might have threatened to do harm them or to their loved ones, or because of fear of the law enforcement. 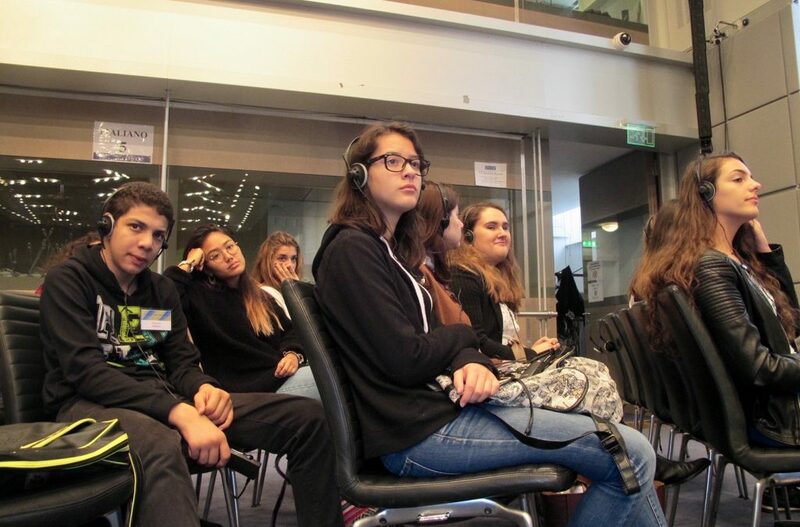 Personally, the most interesting presentation was by Ghada Jabbour, who talked about violence and exploitation in Beirut, Lebanon. It was also the most devastating one to hear. To find out what happens to millions of women/girls, especially the young ones, is too sad to be real. 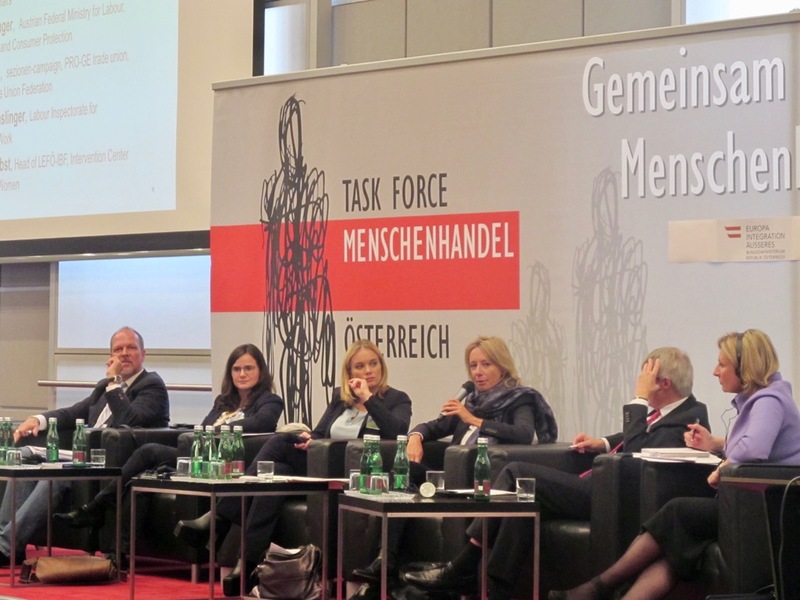 For me the most surprising thing of the whole event was that there is so much human trafficking around the world and that, like Gerald Tatzgern, head of the Austrian anti-trafficking police force, said, everybody in our environment can be affected by this terrible crime, even ourselves. I found most saddening that human traffickers take advantage of people’s hope for a better life and actually betray them. The information that shocked me the most was that not every „trafficker“ gets his/her proper punishment and that human trafficking still exists in virtually every country.